The world-famous Musée du Louvre in Paris has joined forces with Airbnb to give exclusive access to the museum and its masterpieces. In celebration of the building’s 30th anniversary, Airbnb and the Louvre today announced that the museum will be transformed into “a magical Home” for one night. 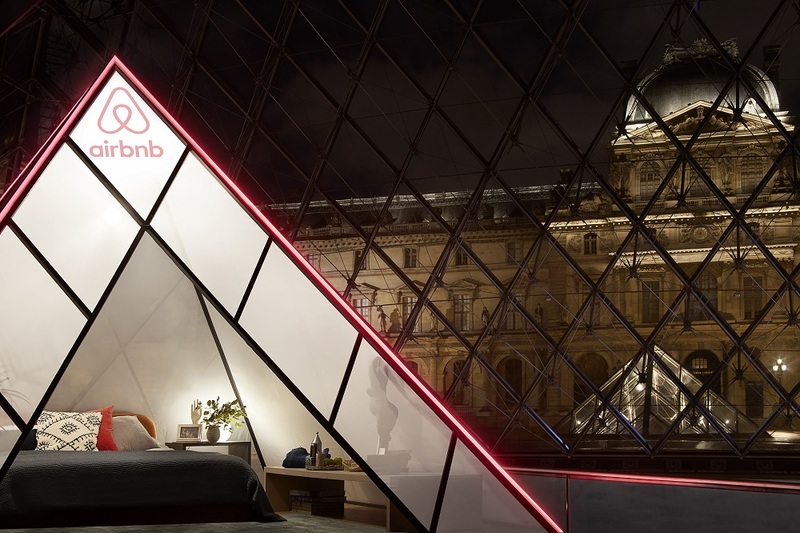 Anne-Laure Béatrix, deputy managing director of the Musée du Louvre, said: “We are happy to offer this unique and special experience for two people to stay in the museum overnight, in a bespoke pyramid shaped bedroom. We know that many people would love the opportunity to wander alone at night through the Louvre and we want this to be a magical and unforgettable experience. For one night only, on 30 April 2019, Airbnb and the Louvre are giving a lucky winner and their guest a once-in-a-lifetime opportunity to see what happens inside the world’s most magical museum when the lights go out. As the sun sets on Paris, the winning duo will make their way to the museum where they will be greeted by an art historian, who will take them on a bespoke tour, like those previously given to the Obamas, Beyoncé and Jay-Z. To participate, visit airbnb.com/louvre before 23:59 (French time – GMT+1) on 12 April and answer the question: why would you be the Mona Lisa’s perfect guest?